Wicker, which is now well proven to be humble no more, lies at the heart of the story of Cane Boutique. It all started in 1992, when Ritu Todi began designing wicker accessories from a small garage in Bengaluru. 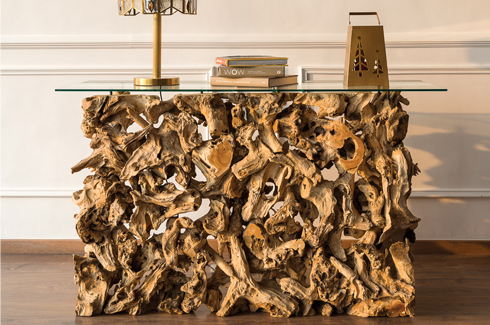 Cane Boutique is one of the well-known brands that manufacture bespoke furniture. However, its genesis lay in simple wicker products (hence the name). Founders Ritu and Vineet Todi have brought forward the brand a great deal. Born in a small garage, Cane Boutique is now proudly hosted across 10,000 sq ft over six floors in a building. 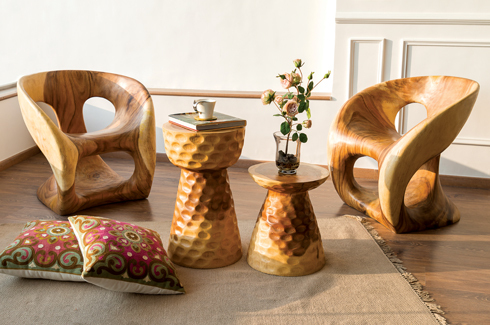 While it started off with simple wicker pieces, Cane Boutique today, boasts of a wide range of furniture and home décor. “All the pieces are created in-house at our factory by almost 300 skilled craftsmen using state-of-the-art technology. We specialise in customising furniture using wood, wicker, metal, leather, fabric, resin and so on. 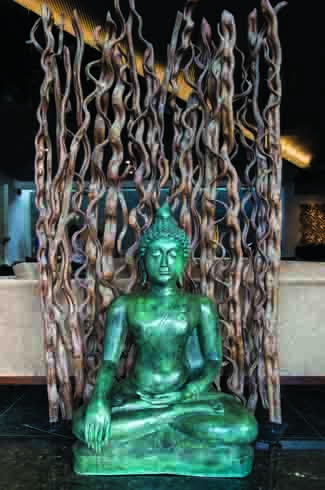 We also source artefacts and panels from South East Asia, Egypt and Spain,” explains Ritu Todi, owner and designer. They specialize on customizing furniture using wood, wicker, metal, fabric & resin. As soon as one sees the store from the outside, one is seized with an urge to step in. The reason? An interesting display that has everything to do with ants! “The entrance of the store has these ants made by a local NGO, look like they are climbing up the building! 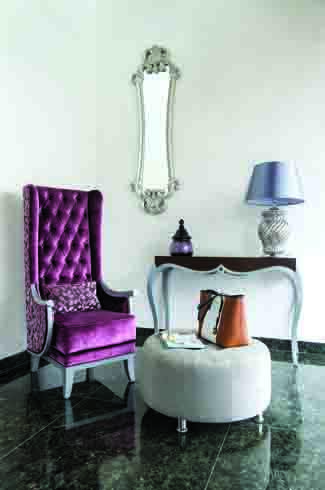 This sight is complimented by a high gloss SS door border and Swarovski handles,” says Todi. Talk about first impressions! But yes, once the visitor is in, there is a massive wonderland that awaits him/her. With the luxury of having an enormous exhibition area, spread over six floors, the owners have segregated displays in an organised and organic way, such that a visitor to the store does not get overwhelmed, and at the same time has the luxury to comfortably browse a rich variety of products. The ground and the first floor house all the contemporary pieces of furniture made using different materials one of which is rich velvet fabric. The varied range consists of log furniture, accent chairs, and paneled dining tables and so on. The second floor has Chesterfield plush sofas in leather and more English designs. All pieces are created in-house by almost 300 skilled craftsmen. The third floor has an unfinished concrete floor which houses industrial pieces, metal panels and distressed wood accent pieces etc. The outdoor terrace area has all the outdoor furniture, including swings, wooden doors and loungers while the basement has all the natural wicker furniture, sofas, dining tables, and chaise lounges. The owners have used a combination of flooring styles for each of these areas. “We try to display the several different types of furniture with the correspondingly appropriate floor. 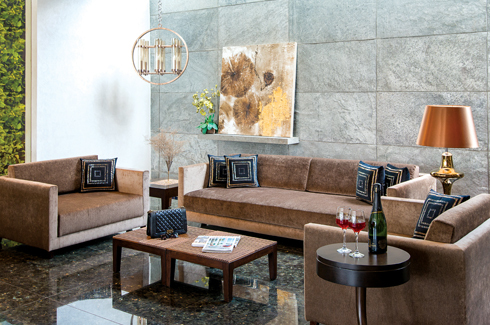 The ground and first floor have marble floors with semi-precious stone streaks, the second has a wooden floor, the third has exposed concrete and the basement has rustic tiles which match with the wicker furniture and help create an earthy look,” explains Todi. Several carpets spread all over, instantly add an element of interest, and certain homely warmth to the area. These were sourced by the couple on their various travels. The second floor has Chesterfield plush sofas and more English designs all on a wooden floor to complement the said look. Not only the floors, but also every wall has something different to show. For example, a rich velvet wall texture compliments a green wall. The stairway walls don an exposed concrete display niche with unique inlay panels with coconut and walnut shells and mother of pearl. The store also has a water body, which along with the copious natural light heightens the décor. 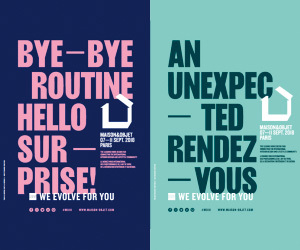 While it is true that the space has many design elements, it does not prove to be overpowering for the customer, since these are displayed in a way one would normally do so at home. “70% of the pieces displayed in the store belong to clients and are made on order for them; in this way things keep moving out and newer ones keep coming in everyday! That’s our USP, we believe in making several designs, using many different materials,” states Todi. Well, versatility is definitely the name of the game in this ‘wicker story’!